Activision Blizzard, Inc. (NASDAQ: ATVI) stock lost over 11.4% on November 9th, 2018 (as of 11:39 AM GMT-5 ; Source: Google finance). The company forecast fourth-quarter adjusted revenue of $3.05 billion, missing analysts’ average estimate of $3.06 billion, according to IBES data from Refinitiv. On the other hand, Activision posted better than earnings estimates for the third quarter 2018 on sales of “World of Warcraft: Battle for Azeroth” and “Destiny 2: Forsaken” titles. The company’s net income rose to $260 million in the third quarter ended Sept. 30, from $188 million a year earlier. The company released “Call of Duty: Black Ops 4”, the latest version of its blockbuster franchise on Oct. 12 and earned more than $500 million in the first three days of release. However, these initial sales figures disappointed investors who had higher expectations. ATVI in the third quarter of FY 18 has reported the adjusted earnings per share of 52 cents, beating the analysts’ estimates for the adjusted earnings per share of $50. The company had reported about 13 percent fall in the adjusted revenue growth to $1.66 billion in the third quarter of FY 18, which is as per the analysts’ estimates for revenue of $1.66 billion. At Blizzard, monthly active users were 37 million consistent with the prior quarter. Overwatch monthly active users were broadly stable quarter-over-quarter. Hearthstone monthly active users declined, although (inaudible) again attracted strong engagement. World of Warcraft: Battle for Azeroth launched in August 14 and set a day one franchise record by selling to more 3.4 important million units, engagement grew sharply quarter-on-quarter, and the expansion saw strong participation in value-added services with more content on the way in Q4. Next year, Blizzard will celebrate World of Warcraft’s 15th anniversary with events both in and out of the game. This includes the highly anticipated release of World of Warcraft: Classic, available as part of the franchise subscription. Activision monthly active users were 46 million, up sequentially from Q2. The sequential growth was driven by Destiny’s expansion Forsaken and by new reach initiatives which grew Destiny monthly active users quarter-on-quarter and year-over-year. 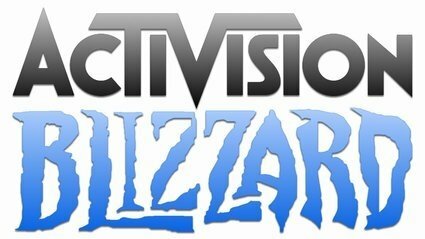 At Activision, Q3 segment revenue was $397 million. Key contributors were Call of Duty digital in-game revenue and Destiny 2: Forsaken, although the latter underperformed our expectations. Segment operating profit of $112 million is lower year-over-year versus quarter that included the Destiny 2 full game launch and continued benefits from the Q2 2017 release of Black Ops Zombies downloadable content and Crash Bandicoot.